Recap – September 2018 : Squad – Communicate. Coordinate. Conquer. Welcome to another Recap! 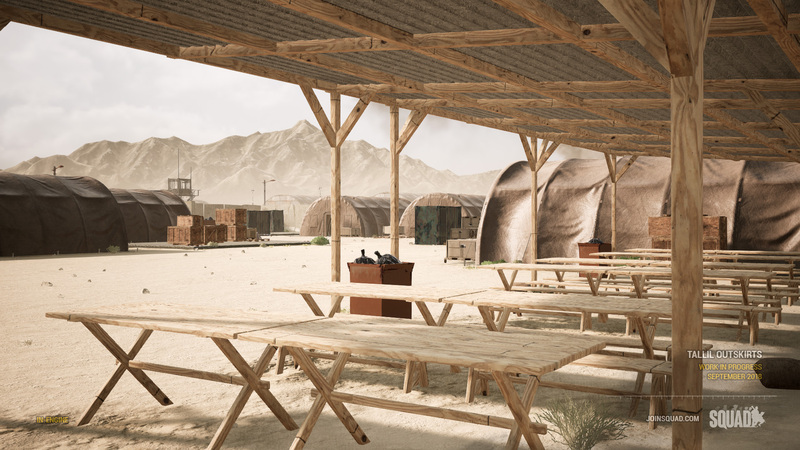 Before we jump into the meat, a quick update on version 12: we’re continuing through the internal playtesting phase and putting our new gameplay systems, UI, and engine-level changes through their paces. While we’re still encountering a number of game-breaking bugs at the moment, our priority is to work through them, do further optimizations, and open up playtesting to our community playtesting group as soon as that becomes possible. Be sure to check out a list of some of the changes coming to Alpha 12 toward the bottom of the recap. Alpha 12 will see the introduction of a work-in-progress system of changes to network relevancy for various aspects of the game, ranging from players to inventory, in an effort to decrease server load and allow for us to reach our goal of having 100 player server limits, as well as increasing performance on the server end. 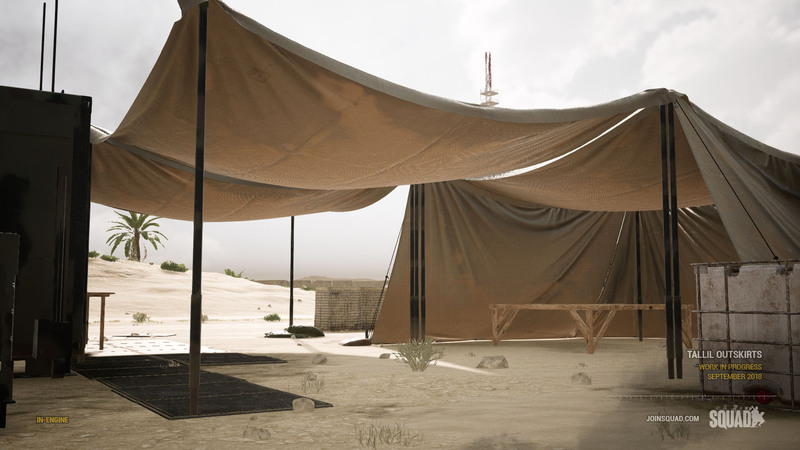 This system allows for the passing of information about faraway soldiers and vehicles needed by user interface without fully replicating them. Expect work to continue on CoreState for awhile! Jitter-haters, look no further. 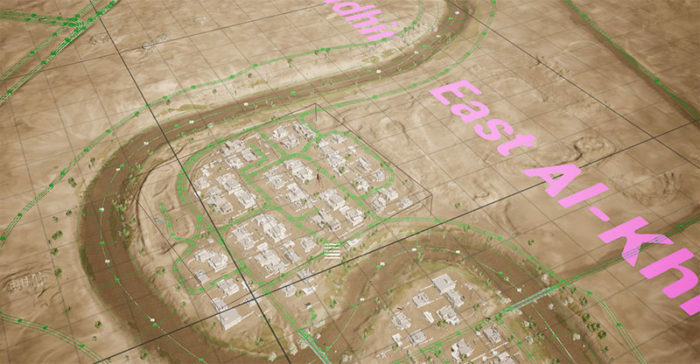 We are excited to reveal we have been working on a solution to the “Map Origin” problem. This problem was something that was preventing us from achieving larger map sizes. 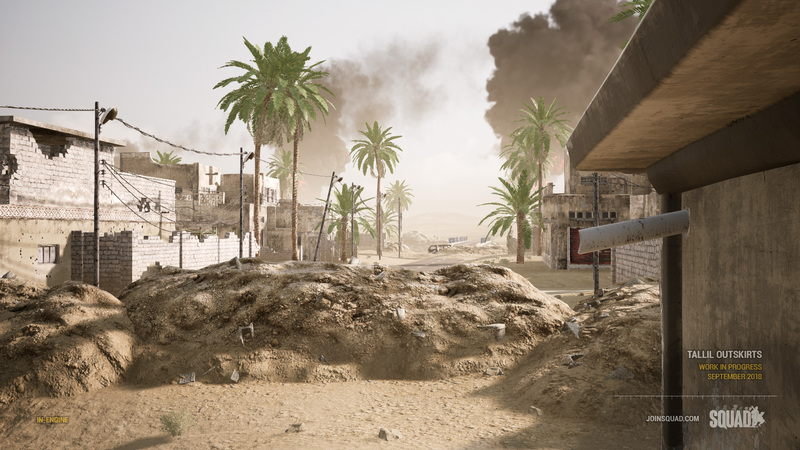 As a player moves further from the map’s “origin point,” there is a subtle but exponential increase in tiny deviations or “scope jitter,” especially when looking through powerful optics. This gets much more dramatic as map sizes scale up and makes for frustrating gameplay when trying to fire weapons more precisely. We’re implementing a solution called “World Origin Rebasing”. It essentially repositions the origin of the world for each player dynamically, to reduce the distance between the origin and the player, fixing the jitter that you experience in things like magnified optics, player animations, and nametags. We mentioned this Menu Screen in the August Recap, and our gameplay and UI designers have spent September to really polish this screen to make it as useful and ergonomic as possible for Squad leaders. 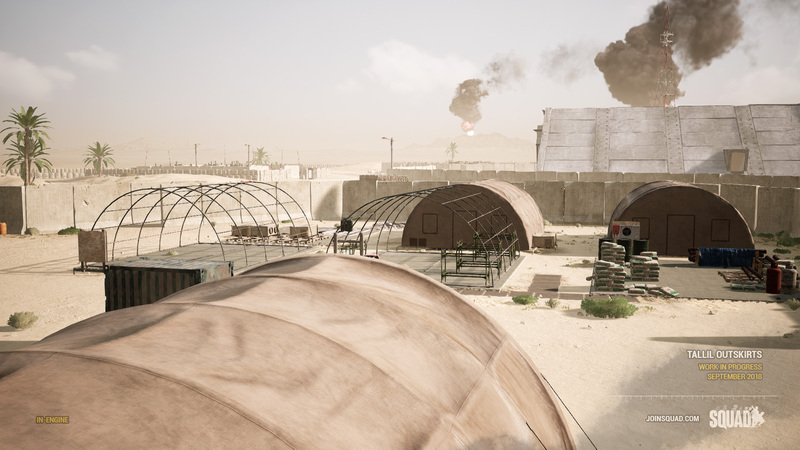 All players will have access to the new Command Menu screen, and Squad leaders will benefit from some extra features. 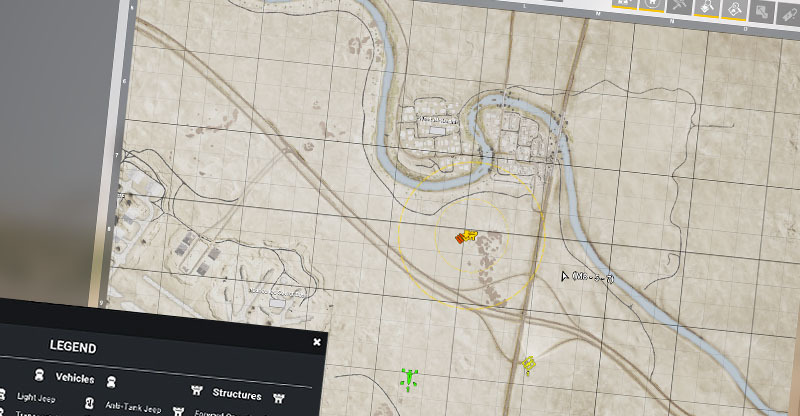 Squad leaders can now place a “Request FOB” marker which will display via 2 yellow dotted circles, the build diameter and exclusion zone diameter of that potential FOB location. “Show FOB Supply Points” map filter will show the construction and ammo supply status of all FOBs on the map. “Map Legend” is now showing a list of what each icon on the map represents, from infantry to vehicles to deployables. 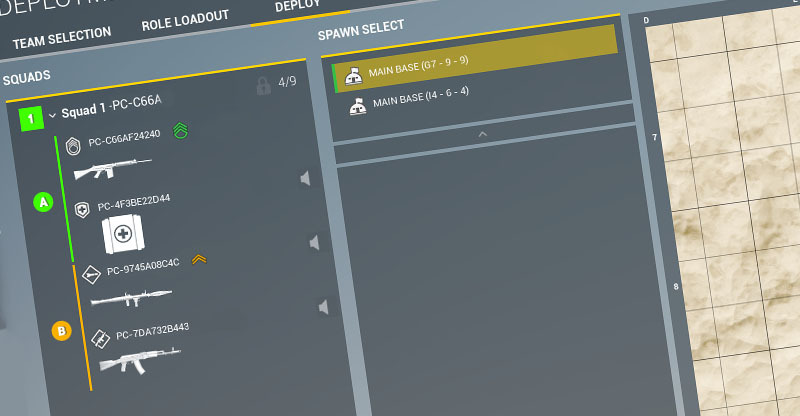 This same drag and drop feature can be used for internal Squad or Fireteam promotions. 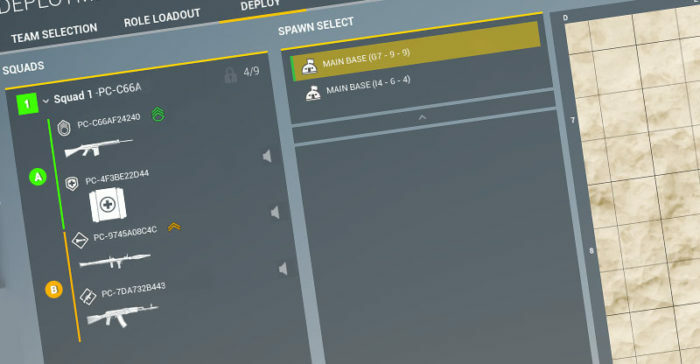 Fireteam leaders will be able to place (and delete) their own fireteams Move, Attack, Defend, Observe, Build commands, both via the Command UI map screen and the 3D HUD T-menu. Squad leader can see and place all Fireteam markers, Fireteams see their own FT marker and the SL marker. Each of the four FTs is color and letter-coded, with the VOIP and nametags reflecting the appropriate FT assignment. We have recently incorporated physmat dependent rolling resistance for vehicles. Vehicles will roll much better on asphalt than on mud or snow. 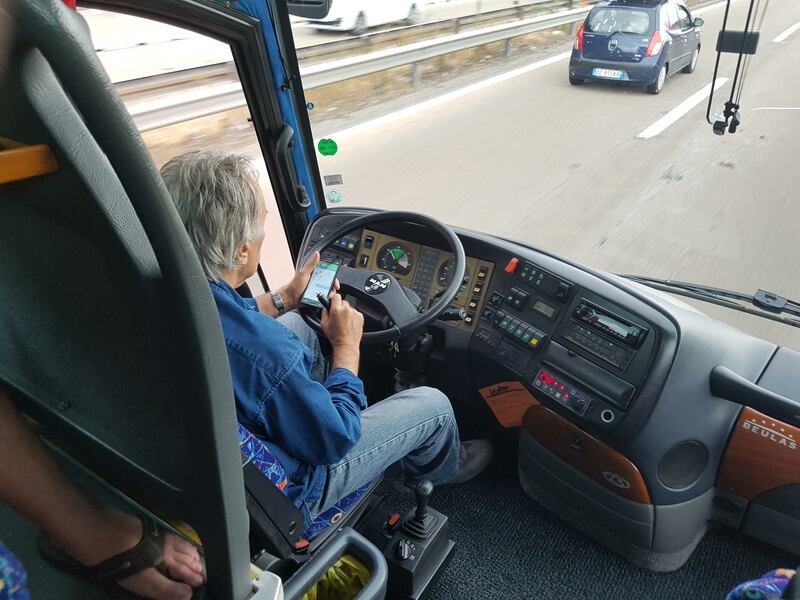 Wheeled vehicles are more affected by this than tracked vehicles. The lowest resistance is on asphalt, concrete, and solid wood. Gravel comes next, then dirt and grass. Sand and snow are where you’re really starting to suffer. And last, but not least, mud has the highest resistance and is terrible to drive on. It’s used, for example, in the riverbed in Gorodok, so this will help prevent unintentional river features from being used as a highway. 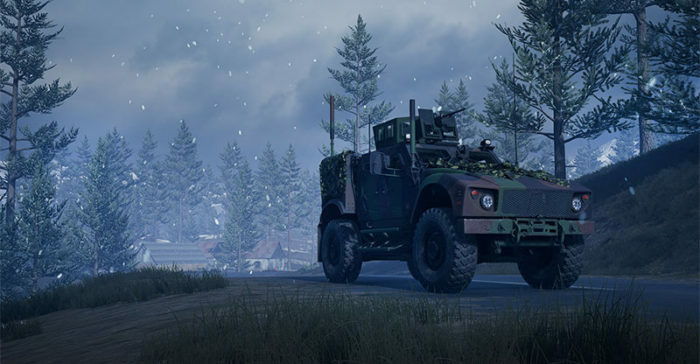 For non-off-road vehicles, this change will have a significant impact on their ability to zip across maps at insane speeds and help to promote the use of roads. 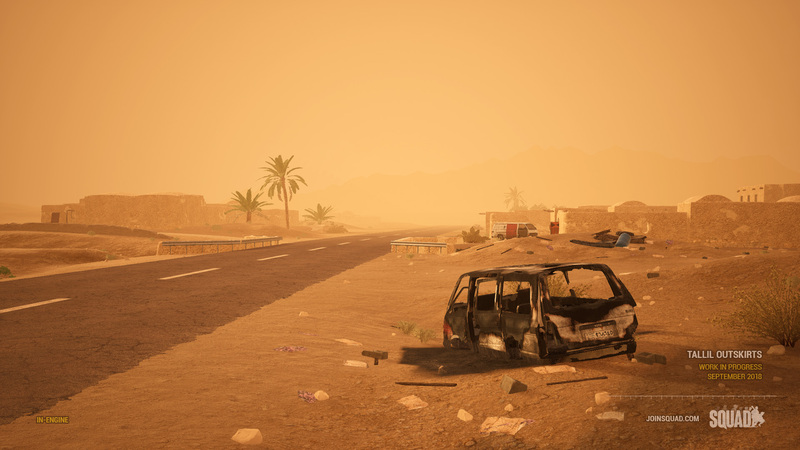 We wanted to have a more granular way for players to control how fast their vehicle is moving, and we achieved this by being able to manually hold the current gear a vehicle is in. 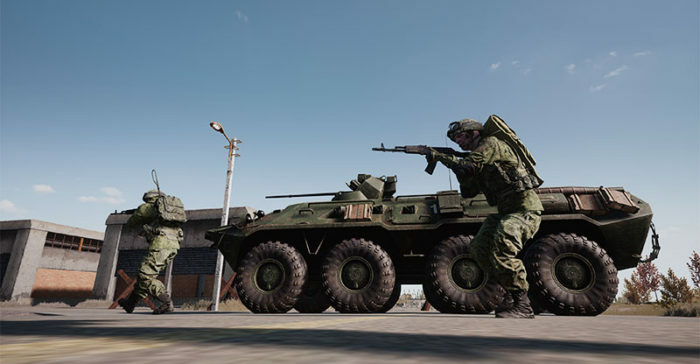 For example, if an APC wanted to travel slowly at the pace of their infantry to provide a screen, they could do this by staying in the 1st gear. All vehicles will now have this ability to keep their engine in the current gear by pressing and holding the SHIFT key (the key is rebindable). So by pressing SHIFT while in 1st gear, the vehicle will always stay in that low gear and drive slowly. It can also help vehicles climb slopes better as you’ll be able to manually stay in 1st gear. 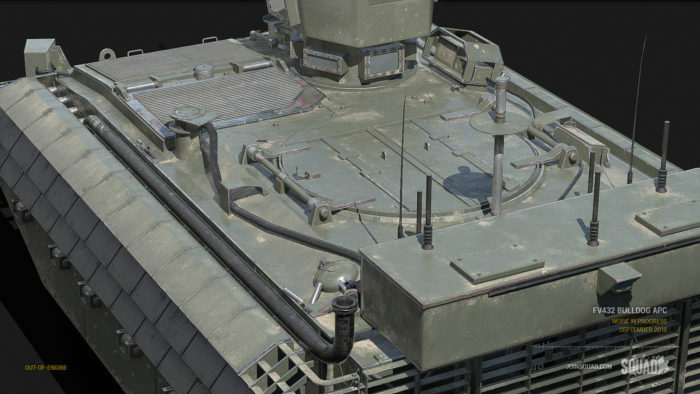 We teased this vehicle in an earlier recap, but the British FV432 APC is in-game and undergoing testing to be released in tandem with all the other goodies coming in version 12. 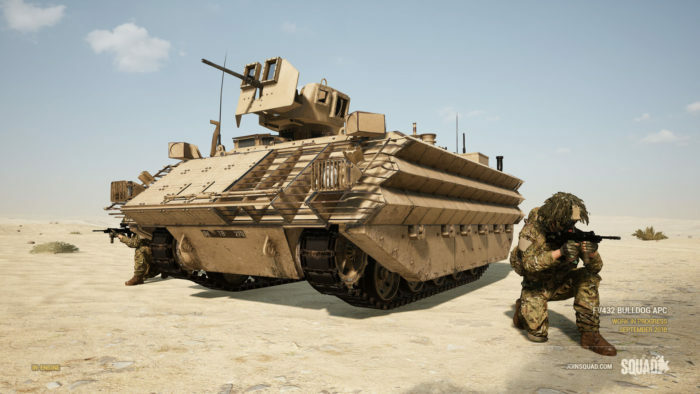 A large, armoured transport vehicle, it carries up to 9 passengers, not including the driver (crewman), and a M2a1 .50cal turret gunner (regular infantry). One weapon we’re also adding to the Militia faction is the ubiquitous FAL. While it is characteristically similar to the German G3A3, aesthetically it is a different beast altogether and we have plans to further expand this family of weapons for unconventional factions. 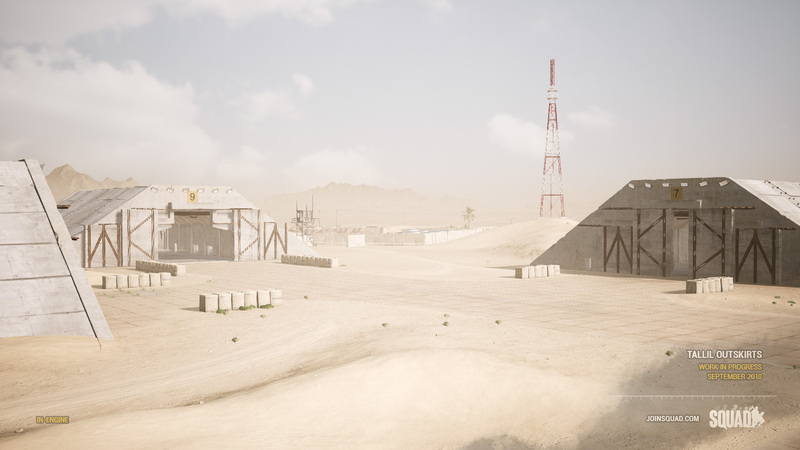 While we’re racing to the release, the team is applying lots of polish on the new large-scale desert map, Tallil Outskirts. The map will feature two different weather schemes, one normal daytime, and the other in the midst of a thick sandstorm. 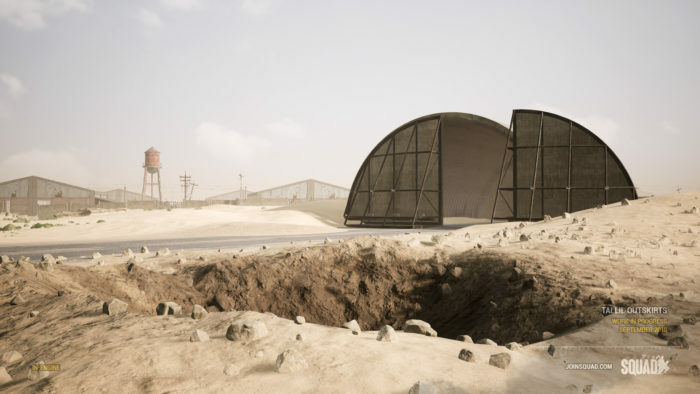 The battle-beaten landscape has remnants of occupying forces from a previous era, as well as more recent installations. The addition of the standstorm changes the feel of the level significantly and should provide some unique challenges for players on top increasing the immersion of the environment. 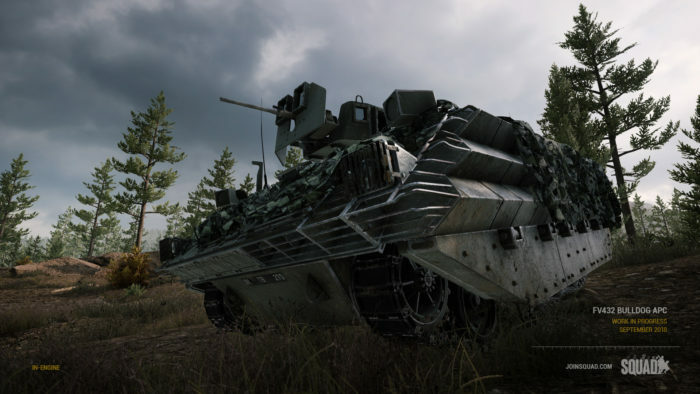 As battered as Tallil has been, it’s ready to take on a brand new deployment of armored warfare. We can’t wait to see you folks like it up! 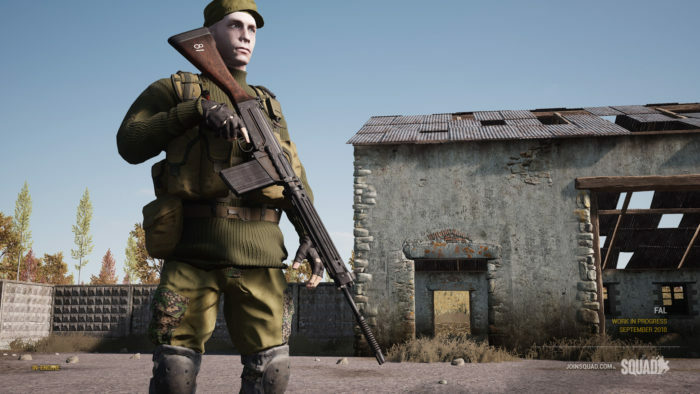 Going back through previous monthly recaps and from the way development has unfolded, we present to you a bullet-point summary of what to expect when Alpha 12 comes around. This is by no means a full changelog, so expect much fuller release notes when the time comes, but it should whet your appetite. We mentioned it in the last Recap and we know some of you wanted to see all our smiling faces — something many of us got to do for the first time as well! 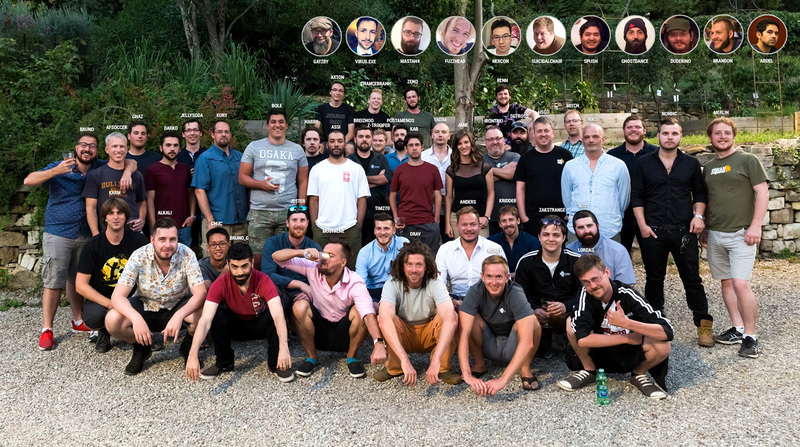 The whole team survived despite Google incompatible bus drivers, ancient roof collapses, evil staircases, swordfights, and one downhill biking accident (Don’t worry — we always deploy with medics!) and we’re back, hard at work. A huge thank you to everyone that made the trip possible and got us home safely.